It has been an eventful 12 months for Jawbreaker. 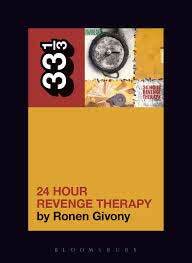 The release of Ronen Givony’s excellent 33 1/3 treatment of 24 Hour Revenge Therapy follows the success of Tim Irwin’s long-anticipated documentary, Don’t Break Down: A Film About Jawbreaker, and, of course, the reunion of the band itself. Givony’s book is a wonderful account of the album and band and has much to offer beyond this. When Jawbreaker performed for the first time in 21 years last August they opened their set with the first track from 24 Hour, “Boat Dreams From a Hill.” It couldn’t have been anything else. That song’s central metaphor, a boat resting on blocks, dry, unpiloted and yearning for the sea, speaks so vividly to the band’s own new beginning: “I want to be a boat / want to learn to swim / want to learn to float / and begin again / begin again.” But that song, like all of 24 Hour, has rich vectors of meaning that are universal but also tied to specific contexts: namely, the tribal and anxious Gilman Street scene that had so embraced Jawbreaker, and the newly mainstream world of “alternative rock,” which had co-opted Green Day from that scene by the time 24 Hour was released in 1994. Givony does a great job of exploring these contexts while drawing out some of the reasons why 24 Hour has transcended them, finding new audiences through its unique combination of defiance, confession, heartache, literary flourishes and what he argues is a definitive quality of the record, sincerity. Certainly, when Blake Schwarzenbach sings at the end of “West Bay Invitational,” “we’re having this party, please come / it won’t be the same without you, please come” it is difficult not to feel every word viscerally. Givony’s book tells the wider story of Jawbreaker from formation to break up with 24 Hour at it’s centre. He does a great job of reading the album song by song in the long middle chapter, “This is all we want from life” (all chapter titles are lyrics), with a scholarly attention to language, allusion and intertextuality. In fact, mirroring Jawbreaker’s predilection for thoughtful sampling and referencing, Givony cites a diverse range of sources; from Milton and Homer to Susan Sontag to Raymond Carver to the Steve Martin film, L.A. Story. Yet, the book is accessible and free of the pretences that are often attendant to both academia and punk rock. I was particularly impressed with his account of the theme of love. Discussing “Jinx Removing,” he points out that this song and the album as a whole present a “proudly cerebral view of romance, and of love as a meeting of equals” (92). This adds weight to his earlier observation that Jawbreaker were unique in their period and scene as an all-male guitar band that had a big female fan-base. Though Givony’s account is thoughtful and meticulous I would quibble with one or two points. He sees the first three tracks on the record and particularly the second and third, “Boxcar” and “Indictment,” as different from what follows, as they focus on restrictive scene politics. I’m not sure this is entirely the case and I would point to the way the reference to “reading Kerouac” in “Boxcar” foregrounds the sample, in “Condition Oakland” of Kerouac reading “October in the Railroad Earth,” or how “West Bay Invitational” revisits the earlier discussions of the scene. Links across songs are part of the record’s richness. Givony also sees the lyrics as “confessional, unguarded and diaristic,” rather than figurative (48). I would argue that it they do all of these things. For example, the wonderful lines in “Condition Oakland,” “Put my ear to the door / I just heard hot rods and gunshots and sirens / People kill me these days / There’s keys in their eyes but they lock from the inside,” surely resonate beyond the realistic and confessional. 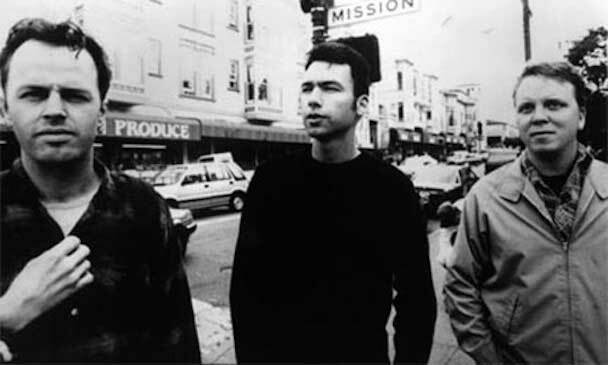 A final and crucial area where this book deserves real credit is its account of what for many years has been the story of Jawbreaker: the story of “selling out” (after years of strident resistance – notably during the period of recording, releasing and touring 24 Hour – Jawbreaker signed with Geffen for their final album Dear You). Givony’s research for the book shines through here. Using some wonderful archival finds, often from Maximum RocknRoll, he shows just how militant this rhetoric was and how hypocritical the scene could be. On the latter point Givony points to the inherent white privilege of the Gillman scene and to the problems of appropriating a term – “selling out” – originally associated with “race traitors” (113). But this book also questions the fact that people are not nearly as concerned with the ethics of making and selling music as they once were and asks what we may have lost in the nearly 25 years since 24 Hour was released. This is an excellent book – unmissable for ‘breaker fans and with much to offer anyone who is interested in the politics of punk. This entry was posted on 16 May, 2018 in homepage and tagged Ronen Givony. Bookmark the permalink.